Natasha Wing puts an Irish twist on a Christmas classic. 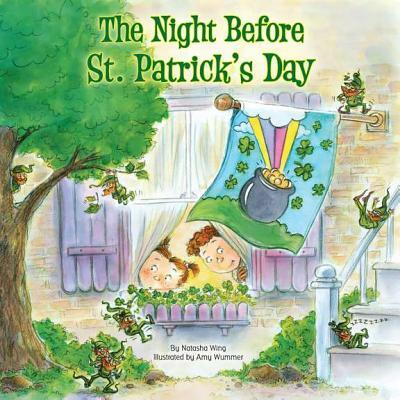 It's the night before St. Patrick's Day, and Tim and Maureen are wide awake setting traps to catch a leprechaun! When they wake the next morning to the sound of their dad playing the bagpipes and the smell of their mom cooking green eggs, they're shocked to find that they've actually caught a leprechaun. But will they be able to find his pot of gold?